Dr Vera Schrauwen-Hinderling studied Biology (with specialization in chemistry) at the ETH in Zürich, Switzerland (1993-98). She specialized further by following a one-year postgraduate course with a degree in Human Nutrition at the ETH Zürich, Switzerland (1998-1999). 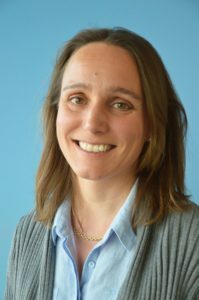 During her PhD project (2001-2006) under the supervision of Dr Eline Kooi in the department of Radiology, University Hospital Maastricht, she investigated skeletal muscle metabolism by means of Magnetic Resonance Spectroscopy. In 2005, she was awarded a scholarship for talented PhD students (Kootstra Fellowship) from the faculty of Medical Sciences of Maastricht University. She received her doctoral degree on May 24, 2006. As a post-doc she applied 31P and 1H Magnetic Resonance Spectrosopy also in the liver and the heart to investigate mechanisms of lipotoxicity and insulin resistance. In 2010, she was awarded a prestigious Veni grant from the Netherlands Organisation for Scientific Research (NWO), titled: “Hepatic steatosis: imaging the fate of fat.” In 2012, she won a grant from the EFSD titled: “Preservation of metabolic flexibility by acetylcarnitine formation.” Recently she was awarded an ERC Starting Grant on “Novel methods in Magnetic Resonance Spectroscopy to investigate mechanisms underlying metabolic disease”. Presently, she is an independent researcher in the department of Radiology at Maastricht University Medical Center, focusing on the development and application of MR Spectrosopy-based techniques to collect information on the etiology of insulin resistance and diabetes. She is intensively collaborating within the Diabetes and Metabolism Research Group and other researchers at MUMC+. External active collaborations include: Michael Roden (German Diabetes Center, Düsseldorf, DE), Arend Heerschap (Radboud UMC, Nijmegen, NL), Deborah Muoio (Duke University, Durham, USA). Vera is involved in teaching at the department of Human Biology.